Developed by Groupe Pacific Int'l. Brickell on the River North and South Towers have a postmodern style that brilliantly reflects the spirit of Miami city living. With one to three bedrooms, the residences offer spacious balconies to fully enjoy the views of Biscayne Bay and Downtown Miami. As it is located practically in the center of downtown, the views from the top floors in the complex are some of the best in Miami. Amenities for the residents of Brickell on the River include a two-story lobby, 24-hour security, covered parking, gym, landscaped pool, and business center. 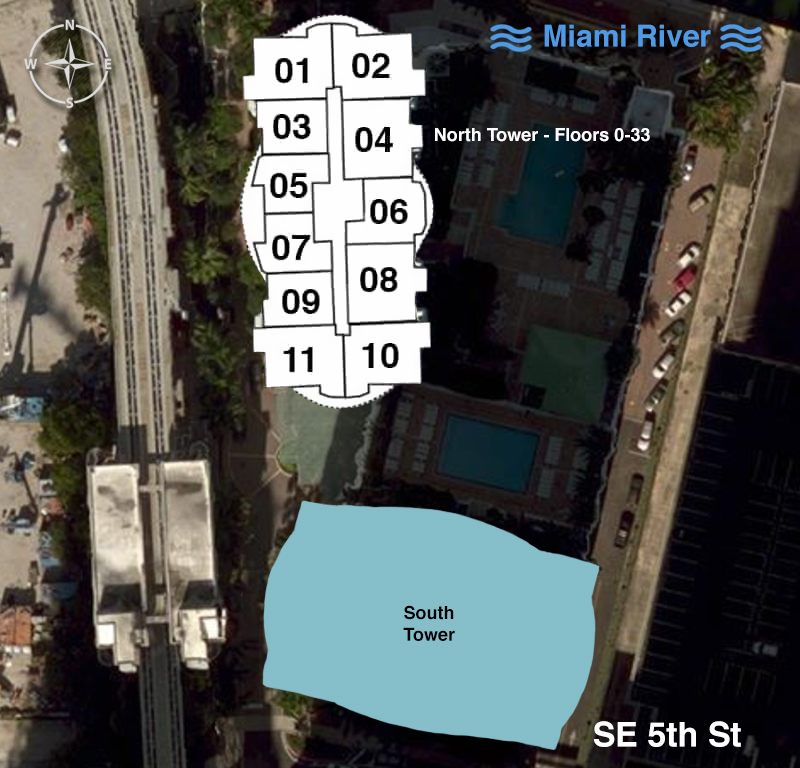 Brickell on the River is located within minutes of PAMM, Museum Park, Bayfront Park, Brickell City Centre, American Airlines Arena, many restaurants and boutiques, the MetroMover, and a unique waterfront promenade that meanders along the river.